Will MPs wear their Kabney after retirement ? To a lay man, the kabney and patang signify rank, power and authority, but with great power comes greater responsibility. With 2013 nearing a question coming up is that should ministers and Members of Parliament (MPs) be allowed to wear official kabneys once their tenure ends? In what comes as a welcome change nearly all MPs that this paper talked to said that they will be giving up their kabneys once they vacate their posts. Gasa MP Damcho Dorji said, “Entailment of kabney and patang are totally the prerogative of His Majesty.” He commented that a retired MP should not be allowed to use patang but be able to wear kabney as it is a kind of knighthood. Asked his view whether kabney should be conferred only to ministers and not to MPs, he said both are representatives of the people so the treatment meted out to them should be the same. He added that kabney and patang has been a tradition which had come to be used for many years in the country and there was nothing wrong in following a tradition, provided that they are used only when one is in office. However, the red kabney (bura marp) is awarded by His Majesty the Druk Gyalpo to selected individuals as a special honor for his or her services so the person concerned is conferred the title of Dasho for life and joins the elite group in our society, he said. 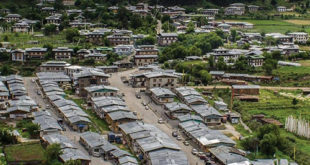 Jagar Dorji is of the view that only the heads of the three organs of the state – executive, judiciary and legislature should wear the Lyonpo’s kabney and all others should wear the same kabney. MP Prem Gurung said that post-retirement, one should go without kabney and patang. “Though it is a ceremonial kind of recognition it is also a display of power so as far as possible we should try to be equal even in terms of appearance,” he said. A question put forward by the Opposition Leader (OL) on this issue in his blog is saw more than 200 people voting with a resounding “No” while only 18 said “Yes”. An aspiring politician said that the National Council Chairperson should be treated equal to a minister and should have the same entitlements but the OL should be placed lower down in the rung. Previous Will MPs wear their Kabney after retirement ? MP can wear kabney but not Patang after their retirement, but how many of them will be waering blue kabney without Patang every five years. Best they should copy the way of Geog Gub. The Gub of particular Geog will not wear his kaney “Khama” after Gub’s tenure. Personal views only. MP can wear kabney but not Patang after their retirement, but how many of them will be wearing blue kabney without Patang every five years. Best they should copy the way of Geog Gub. The Gub of particular Geog will not wear his kaney “Khama” after Gub’s tenure. Personal views only. My view point on Kabneys in Bhutan is that it is totally unnecessary. We have flying colors of Kabneys. This not only creates division in the society but also egoism. Only his Majesty and the monks should be allowed to wear kabneys. Rest of the people should not wear any kabneys. The National Dress with lagay and tegos for women will service the purpose. Kabney, i was told by senior citizens was used those days to carry somethings. Now a days who carries things in Kabney. We have bags and some doesn’t carry anything. So kabney system in Bhutan should be totally except HM and monks. The issue of symbolic kabney will totally solved when we have no kabney system. the ex ministers and dashos are wearing the kabneys of their offices. so the mps will also wear theirs. I totally agree with Kado. while everybody in the world is moving forward, we are always busy looking into the past, findings new ways to feed our insatiable ego in the name of culture . in my opinion,with the introduction all these confusing rainbow of colors in kabney, we are actually creating a new class system with aristocracy equivalent to that which existed in ancient tibet. preserving culture is important but please do not overdo it to the point idiocracy. Do away with all kabneys except for yellow. If we follow the current practice, what Doctor has said is true, but in future as sugested by KADO there is every valid reason to revist its relevance and the need. On the security point of view also, when the memebrs of parlaiment from different parties may resort to using the swords against each other when things become too heated in the hall, seriously. We should not allow any sort of weapons to be taken into the Assembly Hall during the session. Further, the kabney business is creating societal hierarchy – need to review its relevance in terms of its added value. If Ministers are allowed to wear same kabney after their tenure ends….I don’t know how many people will be there in the parliament with orange scarf after next election. I support Mongar MP and others who support her views that after retirement everybody should be same. People have chosen to represent them but after their duty is over it means you cannot wear it. So why one wanted to still throw their weights around and distinguish from other common people. So no matter whether one is MP or Minister they both have to wear a common white kabney. They are no different than common people around. So i am against wearing kabney after retirement. The kabney system, i feel is very unnecessary and petty thing. Simple solution for this is drop it and close it by, No kabney (colored) after the end of office for MPs and ministers both. But if one is wearing Bura mab then it is the honour bestowed upon sb by the king for his serve to the country, that should be continued or else all the civilian should have white kabney. Or else imagine, in 10 years down the line, we’ll have line of people with blue kabney in bank, schools, hospitals or even thimphu streets. I strongly feel, all should wear white kabney after the end of office term ( both MPs & minister). No kabneys to MPs and NCs after retirement, not even to our good old Ministers. Let’s help free them of their pride once for a while in their old age. We cannot afford to see the flooding of Orange and Blue kapneys being worn by our honourable MPs once they complete their tenure as this will create unhealthy distinction/disparity among the common rights deserving populace of the country. In my opinion, all those MPs, NCs including ministers should revert back to wearing ordinary kapneys with the only exception that those who had been conferred Bhura Marp by the throne prior to their appoinment as Ministers/MPs should be allowed/retained their entitled kapney thobthang but without Patangs. Only the Prime Minister should be allowed to retain his Kapney as well as Patang even if he is not elected for subsequent term of his High Office. In support to Sangay and KADO, we seriously need to review our cullture and tradition system to promote equity and justice instead of creating subclass, hierarchical society. Its time that we transform and evolve it insead of being guided by our vested interest and clinging to it. 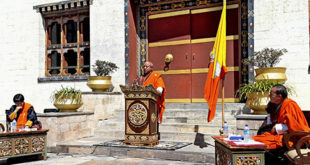 No bowing down, kabney should be same except the Jekhenpo and Druk Gyelpo, otherwise after a decade everyone will have either blue, green, orange, etc. 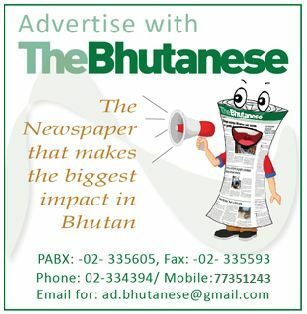 We Bhutanese have sometimes funny things, for instance during the promotion and transfer we use to pay money and clothes as a part of our tradition, now this has been done away with. Otherwise this would have created corruption in the form of our tradition. Likewise, we need to promote equity and justice instead of colourful kabneys and subclass society. Lets be practical and preserve what is significant instead of promoting our ego and unnecessary ranks in the society. If we all want free and equal society, then MP & ministers should not wear kabney or patang after retirement. As someone mentioned, it create ego and division in class. In fact, that is how cast system evolved in India and other parts of civilization. In democracy, people elected those MP for the fixed term only. Therefore, they should also wear kabley and patang for fixed term. Othewise, just imagine, after 20 years how many blue & orange kabney will be there in a population of less than 7 lakhs. As the kabney and the patang signify responsibility and power, so there is no logic to continue with them after they retire. If allowed to wear, then after some years, there will be many people wearing blue color kabney.